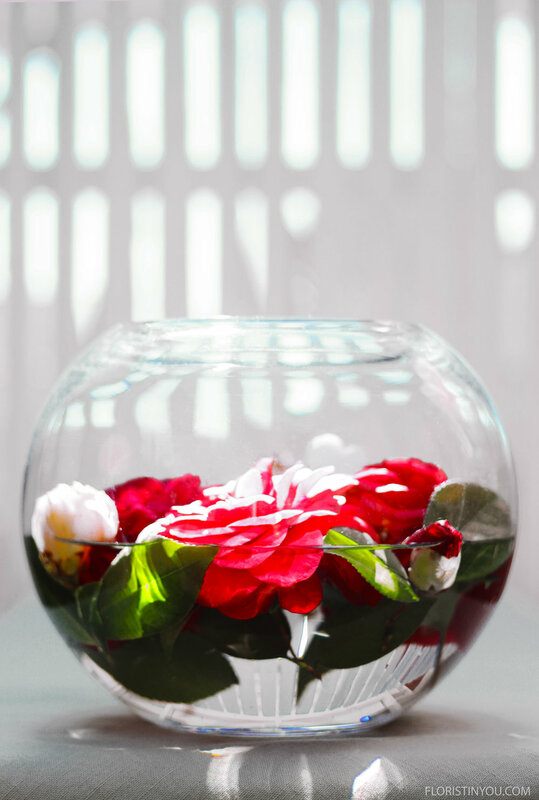 This is a modern arrangement you can make for zero dollars, as long as you have camellia bushes or you have a friend who does. You just cut them with a short stem, clean and dry the green leaves off, put some water in a bowl and float them. They look dreamy. It's kind of an optical illusion looking at them through the glass because they look bigger. There is no front or back to this arrangement and the best part is if one of the flowers 'goes down' or starts looking sad, you can just replace it. Voilà! You are done. Congratulations. It looks gorgeous. 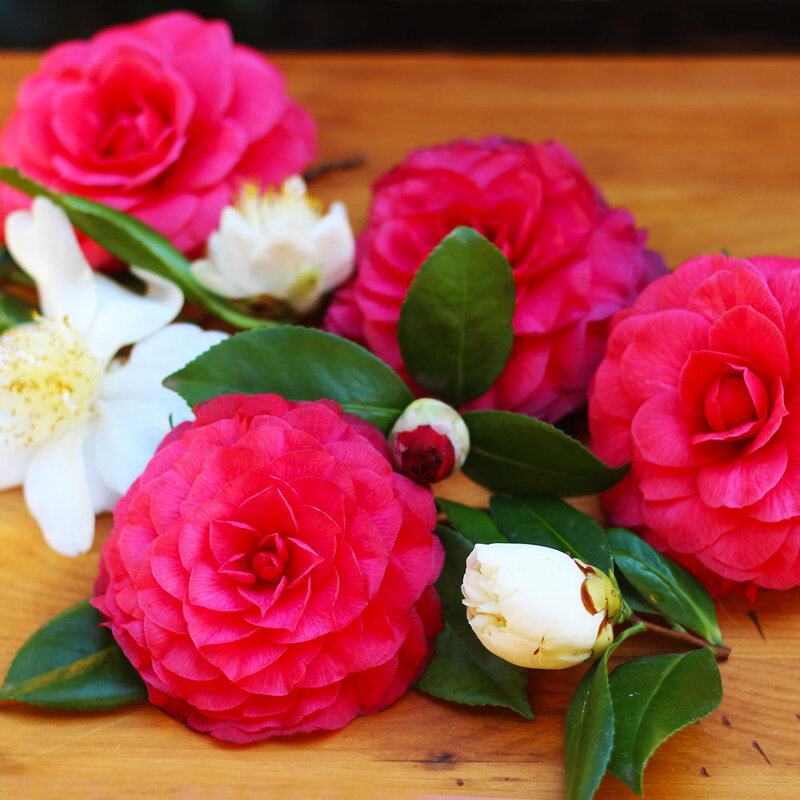 Cut 3 to 6 Camellia blooms. Stems should be no longer than 1 1/2 inches. Wash leaves with sponge and tiny bit of liquid dish soap. Then dry it with a paper towel. Fill bottom third of vase with water. Carefully place your first bloom in the water. 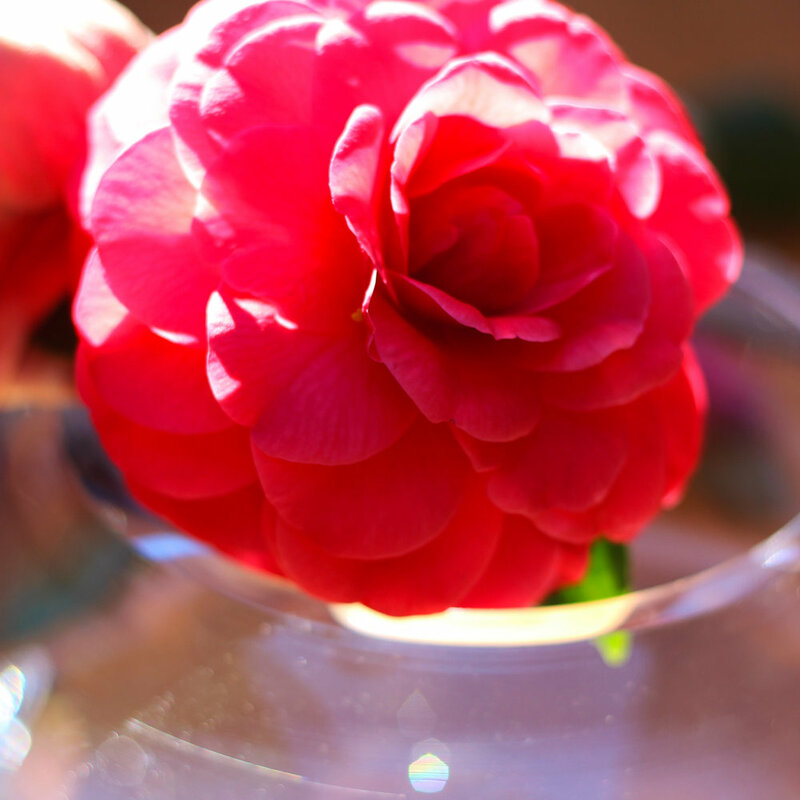 Camellias can be stunning. Look at this golden fringe. So here's your clean modern look for zero dollars. Enjoy!